Enjoy your music, your way with the latest in multi room audio. Whether accessing your personal music library, music streaming service or internet radio station, excellent audio quality from discreet in-ceiling speakers can be available to you wherever you are in the home. With a multi room audio system, the whole family can independently control and listen to their favourite music in every room – all at the same time. 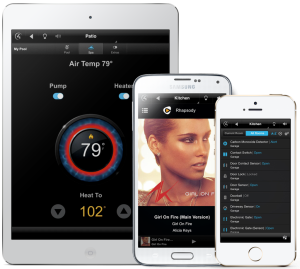 Control your music from virtually any source, including your iPhone, iPad or Android device. From a single room solution to a whole home system, choose from Sonos, Control4 or a combination of the two to make up your fully bespoke home audio system. 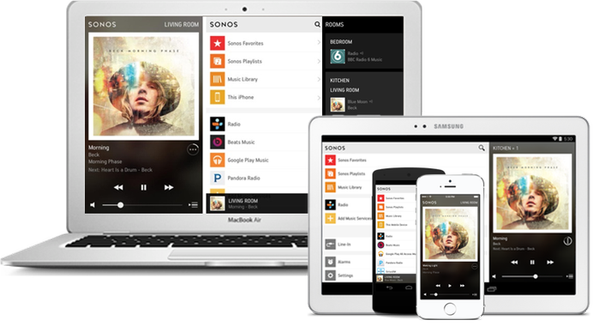 The Sonos app, built for mobile, tablet and desktop, connects you to all the music on earth, all over your home. 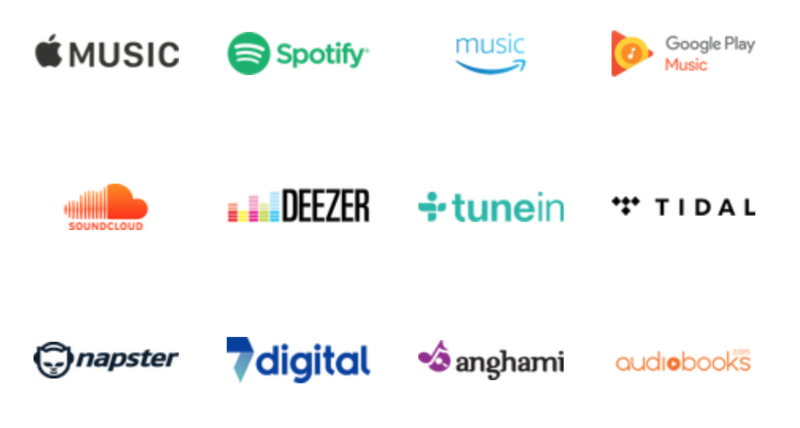 Control4 can be used solely for your home audio system or as a whole home automation solution including lighting control, distributed video, home cinema, heating, security and more. All controlled from a remote, touch screen, smart phone, tablet or computer.